GPH, formerly known as GamePark Holdings, is a South Korean company responsible for creating the GP2X that was founded by former employees of the game maker GamePark in 2005. Several years after the release of the GP32, its maker GamePark began to design their next handheld. 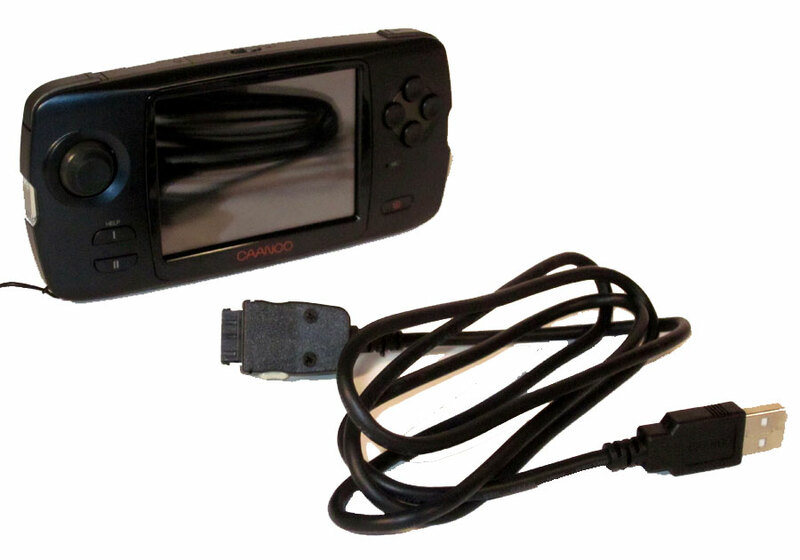 A disagreement within the company about the general direction of this system prompted many of the staff (including the majority of engineers) to leave and create their own company, GamePark Holdings, to create, produce and market a 2D handheld system that they saw as the evolution of the GP32. 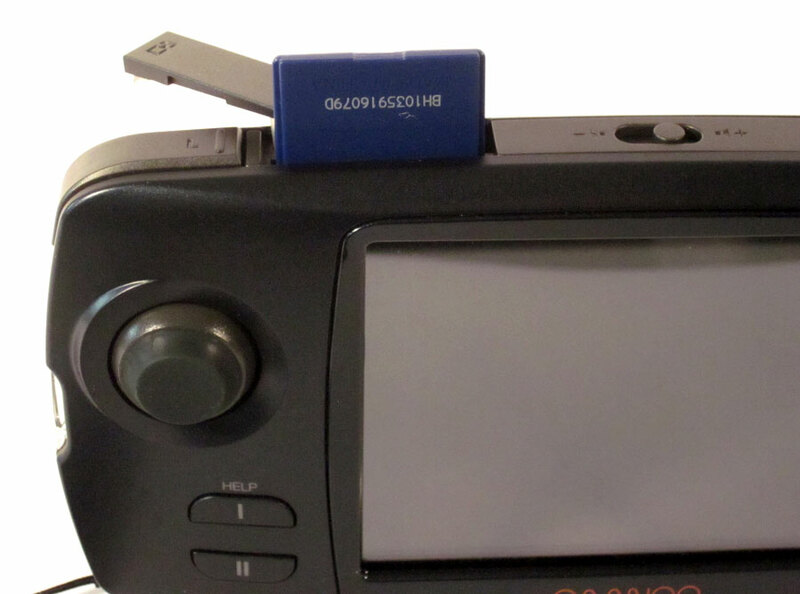 In contrast, GamePark began developing the XGP, a 3D system similar to the PlayStation Portable. The XGP was never released and in March 2007, the old company filed for bankruptcy. The name of the 2D console was conceived as the GPX2. Eventually, GPH would run into difficulty with it due to a possible trademark violation with the name of a Japanese printer, the GPX, being considered too similar. Potential confusion with a "second generation printer" needed to be avoided, so a contest for a new name was announced on August 3rd, 2005. Around 1500 names were submitted by the deadline of the 15th day, but trademark issues hindered the registration of the fifteen selected names. 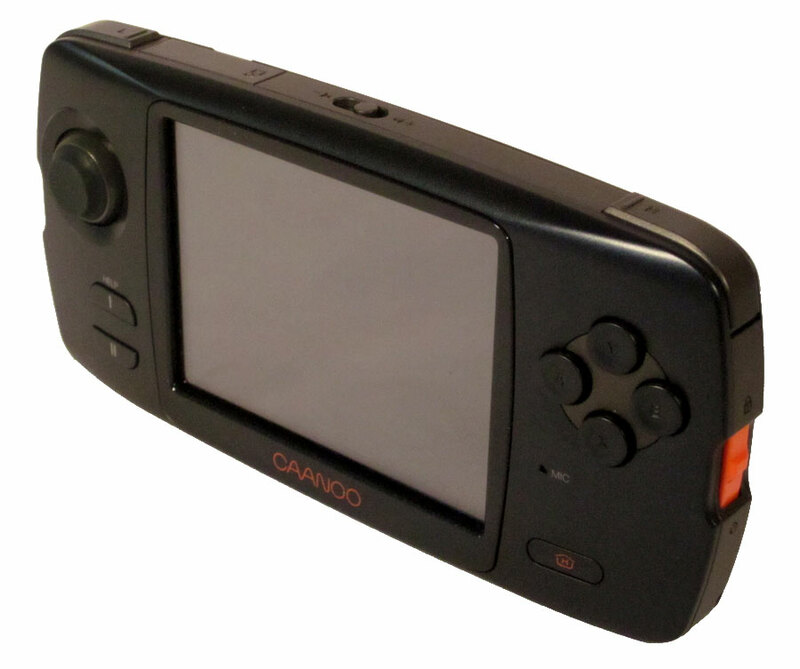 Eventually, GamePark Holdings simply decided to swap some letters and name their handheld GP2X, finding it an available trademark. By the time it was discontinued in August 2008, 60,000 GP2X units had been sold. In May 2009, the GP2X Wiz was released, the successor to the GP2X. 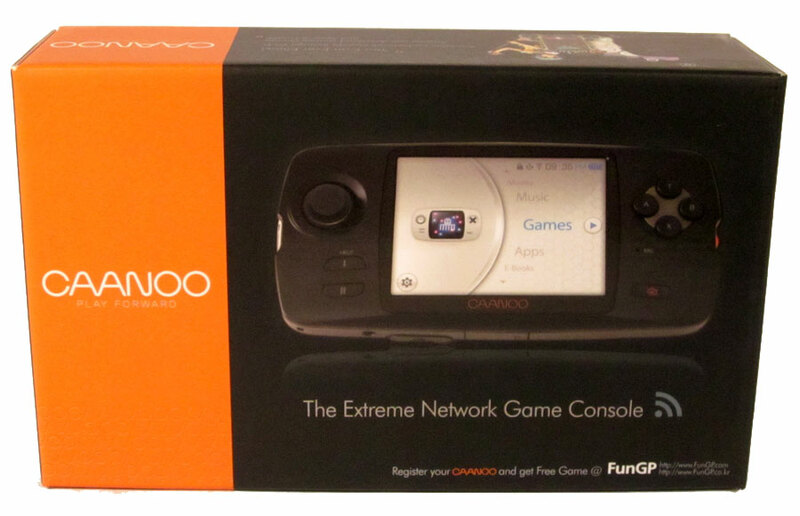 In August 2010 GPH launched a new handheld console, The Caanoo, as a successor to the GP2X Wiz, with games purchased through GPH's simultaneously released online app/game store called FunGP. The advent of mobile gaming on smart phones and tablets eroded the sales of the Caanoo and GPH went out of business in 2012 - seemingly without any formal notice. 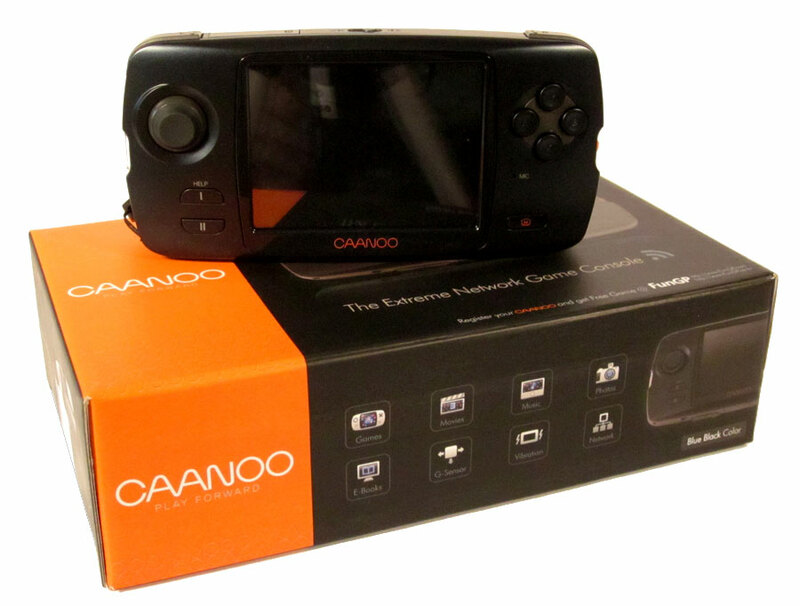 The Caanoo is an open-source, Linux-based handheld video game console and media player created by GamePark Holdings of South Korea. 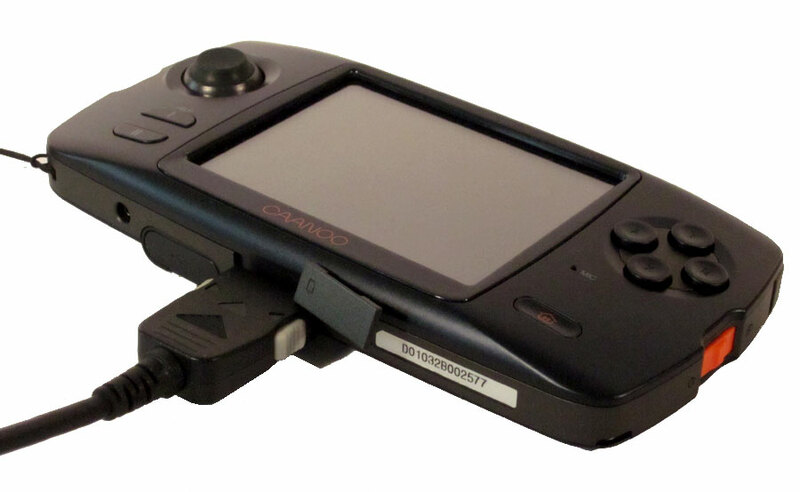 It is the successor to the GP2X Wiz, and was showcased at the Electronic Entertainment Expo 2010. The device's price was about $150 in Aug. 2010. Front of the Caanoo box. 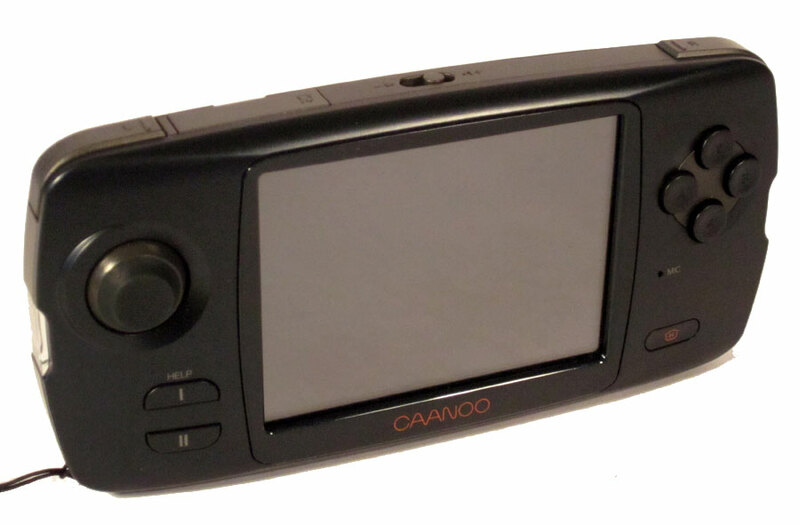 The Caanoo can run many emulators (e.g. GnGEO "SNK Neo Geo AES/MVS", Hu-Go "NEC PC-Engine", MAME4all "Arcade Coin-ops" and Picodrive "SEGA Master System / Megadrive / Mega CD / 32X"), freeware homebrew games/applications, flash games/applications (through an additional software), java games/applications (through an additional software) and commercial games/applications. Front left of the Caanoo box. 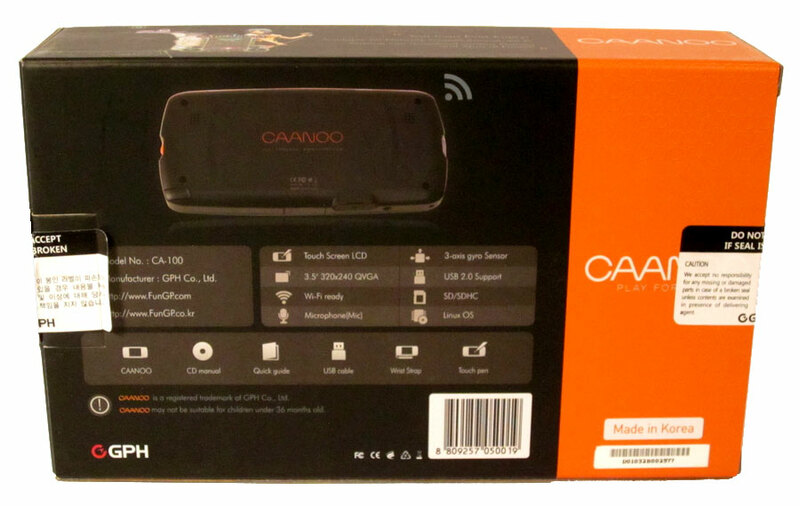 The Caanoo is a video player, an audio player and a photo viewer. Front left of the Caanoo box. 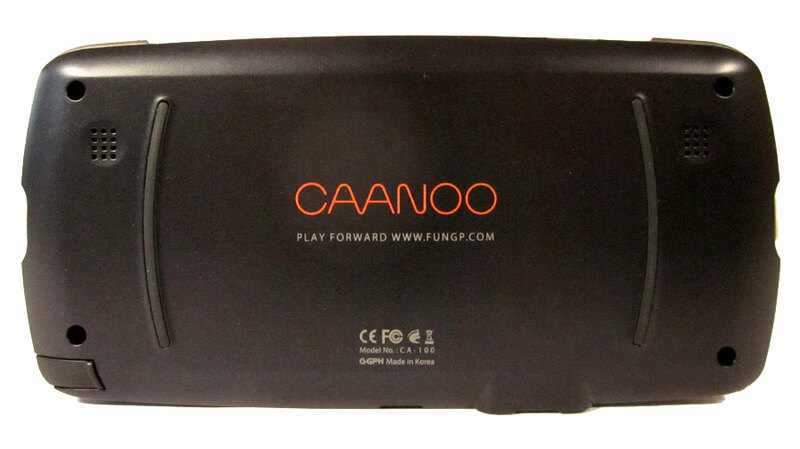 Caanoo handheld emulator on top of it's box. Front of the Caanoo handheld. 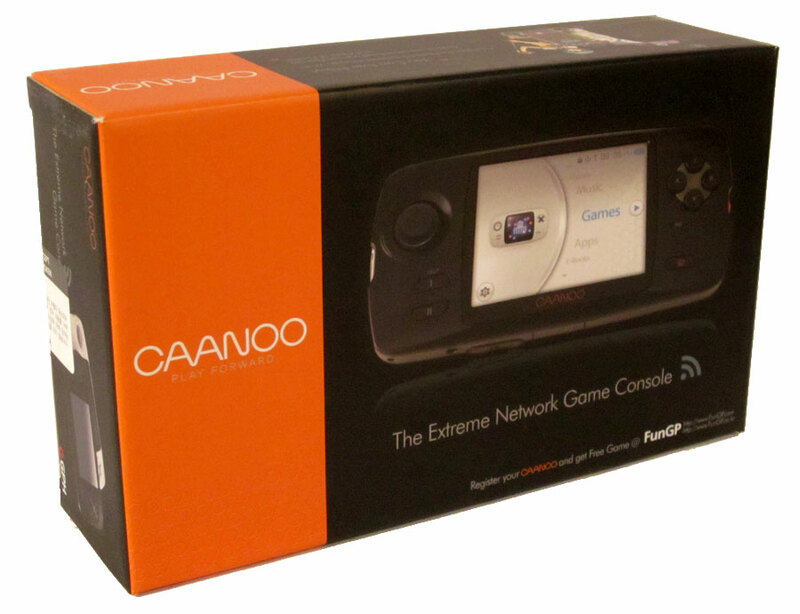 The Caanoo is an open-source, Linux-based handheld video game console and media player created by GamePark Holdings of South Korea. Front of the Caanoo handheld. 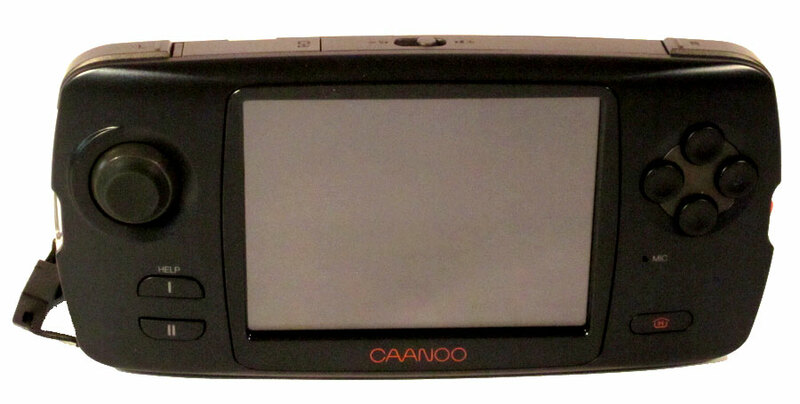 The Caanoo isn't a direct competitor of handheld consoles like Nintendo DS or PSP, but an alternative open source device. 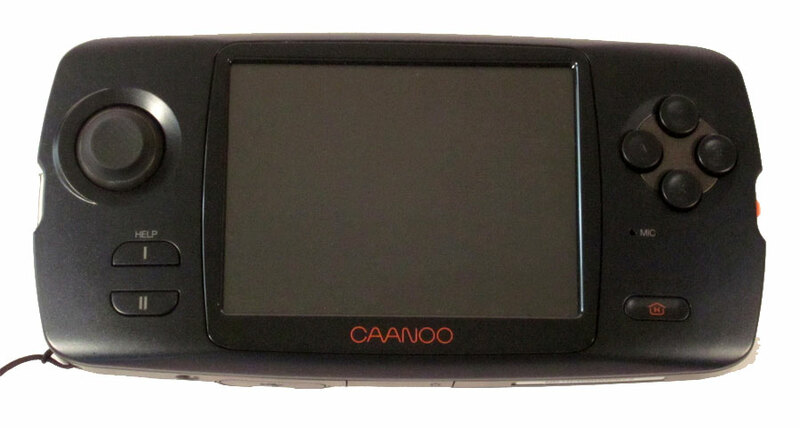 Front left of the Caanoo handheld shows the Power LED-indicator on the left edge. The LED changes to red (purple if CAANOO is ON) while CAANOO charges. The red LED turns off when fully charged. The LED flashes blue to indicate low power. 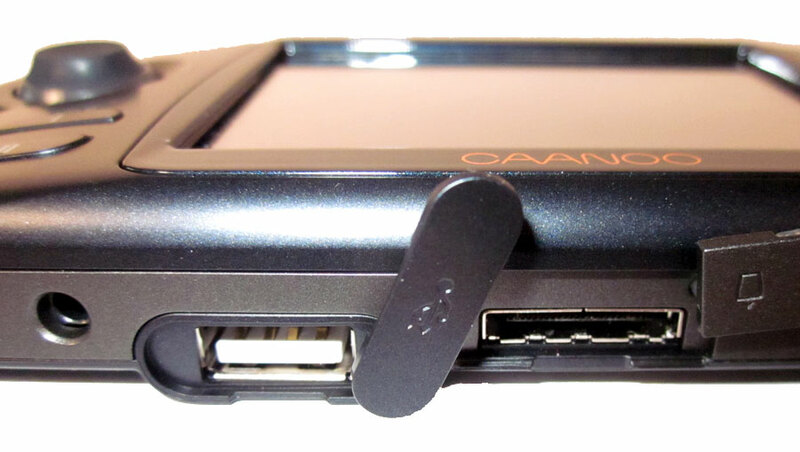 Front right of the Caanoo handheld showing the Orange power button on the right-side edge. Top of the Caanoo handheld showing the volume control and SD Card slot (covered). Bottom of the Caanoo handheld showing the headphone jack, USB port (covered) and the power port (covered). Back side of the Caanoo handheld showing the 2 speakers. A stylus slot is located in the lower-left. 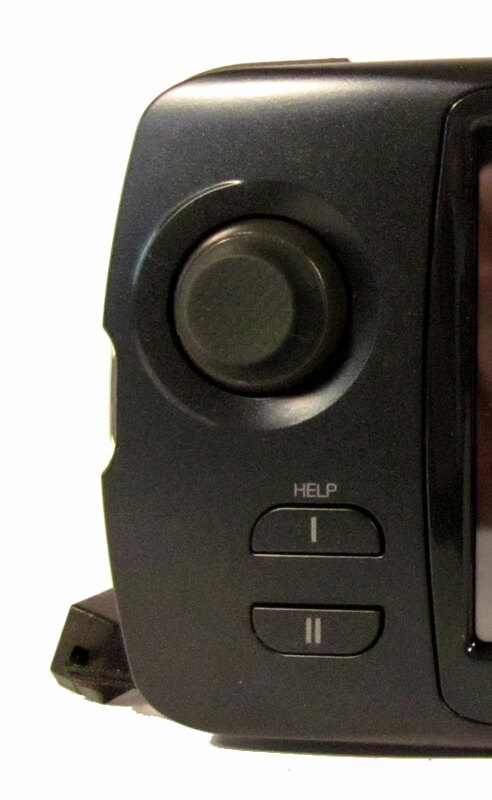 The left-side top edge shows the L-buttonBelow is the Joystick and 2 menu buttons labeled "I" and "II". The power LED is on the left side center of the unit. The left side view shows the Joystick mechanism and the Power LED. The right-side top edge shows the R-button. 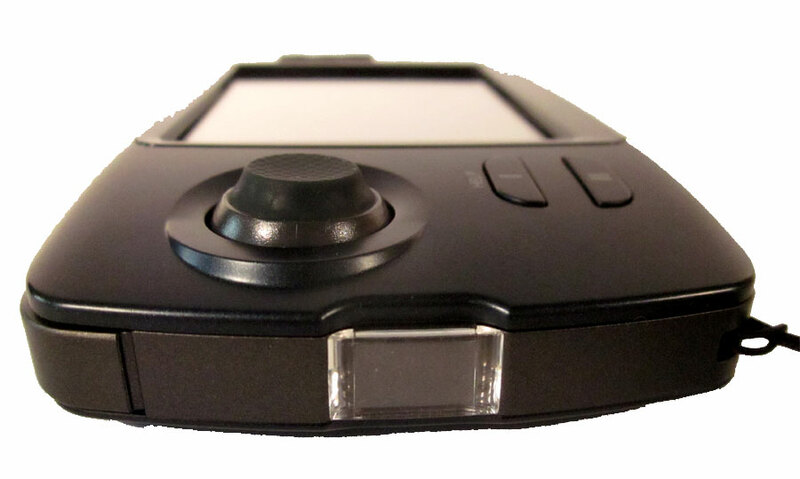 Below is the 4-button control pad (A, B, X,and Y) which are used in most games. You will also notice a microphone with the Home button below. The right side shows the Power slid-switch. SD Card shown in the top-loading slot before being seated beneath the cover. The Caanoo ships with a 2GB card, but can accept a 32GB SD Card. The volume control is to the right of the SD Card lot. To the left is the L-button used be the left index finger. At the base of the left side is a loop for attaching the wrist strap. Covers removed from both the USB and Power ports. The headphone jack is on the far left. The power cord connects to a proprietary Power port on the Caanoo, the other end connects to a USB port on your computer for charging. This same connection also mounts the Caanoo as a drive on your computer (Mac or PC). The USB port show to the left will support a USB joystick or other peripheral.